Raspberry Pi Zero + ESP8266 = Internet?! 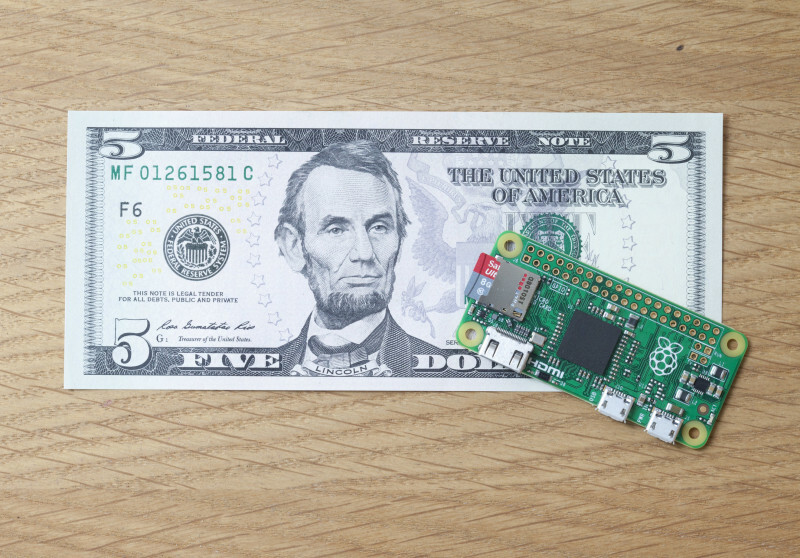 Few days ago Raspberry Pi Foundation announced brand new, ultra small, Raspberry Pi Zero and since then the hype around it is absolutely amazing! Not that they don’t deserve all of it of course! The new Rpi Zero is indeed a big thing in a very small case. Unfortunately micro size comes with some trade-offs – especially lack of Ethernet port or WiFi and only one (micro) USB port which means an OTG cable is required if you want connect “normal” USB device or USB hub (powered preferably) if you want more than one device. This becomes a problem when you’d like to use Rpi Zero as a remote node in your new IoT project in which you plan to use a USB port for something like a webcam etc – remember one port only! So what you can do if you’re not fancy adding a USB hub and still want both a webcam and a WiFi dongle? Well, the first thing which came into my mind was – ESP8266 – very cool Wifi-to-serial device. 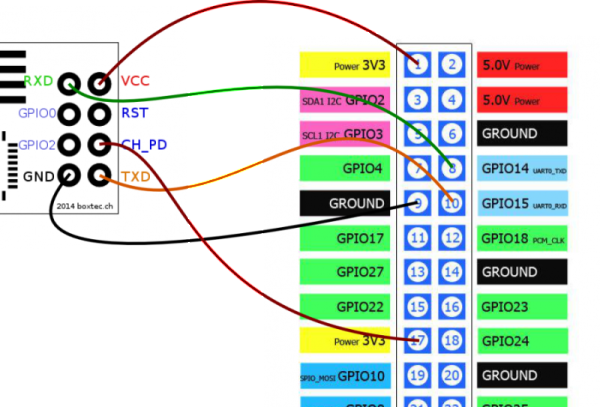 In theory it could be simple – connect ESP8266 to the serial port in Raspberry Pi Zero and start PPPd connection to some other machine on the network. But unfortunately ESP in its whole awesomeness doesn’t provide PPP support (yet?) bummer! 🙁 So I had to think about something else… after heavy googling I found some light in the tunnel and because I couldn’t find a complete solution anywhere I decided to create this article. The solution (or workaround is more precise): esp-link + socat + slattach. This is fairly simple – just follow the schematic – I used this configuration. Above commands needs to be adjusted to your environment – if you follow this manual then especially socat’s TCP socket IP, outgoing interface and –to-source IP address in iptables rule. optional step – check your DNS settings – cat /etc/resolv.conf – and if there’s nothing add this: “nameserver 8.8.8.8” to add google DNS server. So… to be completely honest – this solution is not a very stable WiFi dongle replacement and definitively it requires some tuning. The network speed is extremely slow etc. But some improvements should be quite simple – for example to add permissions to the tunnel for non-root users etc. Another issues which I experienced were: big payloads (like file downloading etc) are problematic, socat on the server side was failing every so often and I needed to start it again,restart slattach and ifup the sl0 interface (the good thing is that Raspberry Pi Zero end stays up and never failed (so far)). Nonetheless it was a joyful journey and I’m pleased that it worked on the end. I’m pretty sure this solution could be explore even more and maybe even in this state it could be useful for someone.